1. 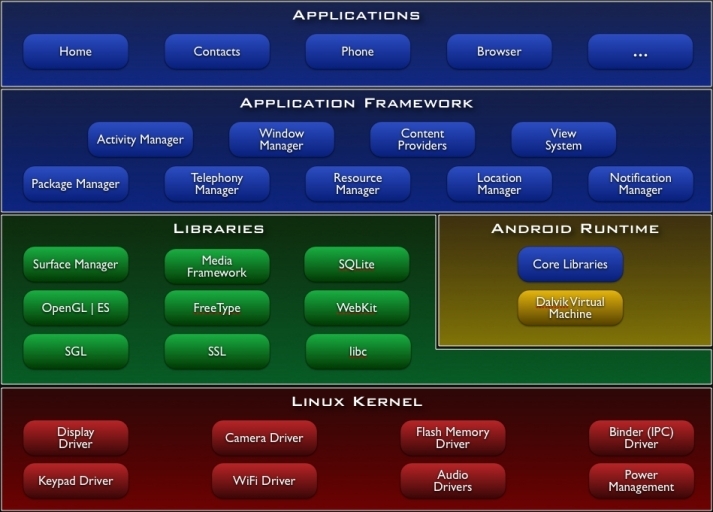 What is the architecture of Android? 2. How many ways are there to create a bound service? 3. What are the steps to create a Bound service using AIDL? 4. 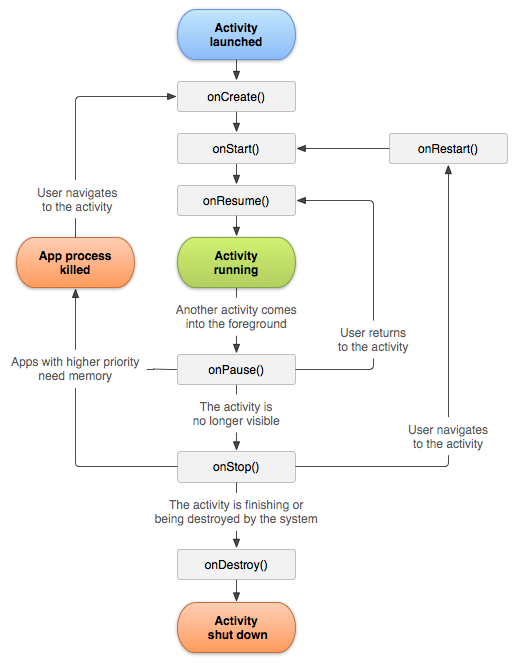 Will calling finish() on an Activity calls all the usual activity life cycle method? Yes, except if you are calling it from onCreate, in which case onDestroy() will be immediately called without any of the rest of the activity lifecycle (onStart(), onResume(), onPause(), etc) executing. 5. Should base Activity class's onCreate should be called from your Activity implementation? Yes, if not an exception will be thrown. 6. What is the activity life cycle? 7. What is the Fragment life cycle? onAttach: called once the fragment is associated with its activity. onCreate: called to do initial creation of the fragment. onCreateView: creates and returns the view hierarchy associated with the fragment. onActivityCreated: tells the fragment that its activity has completed its own Activity.onCreate(). onViewStateRestored: tells the fragment that all of the saved state of its view hierarchy has been restored. onStart: makes the fragment visible to the user (based on its containing activity being started). 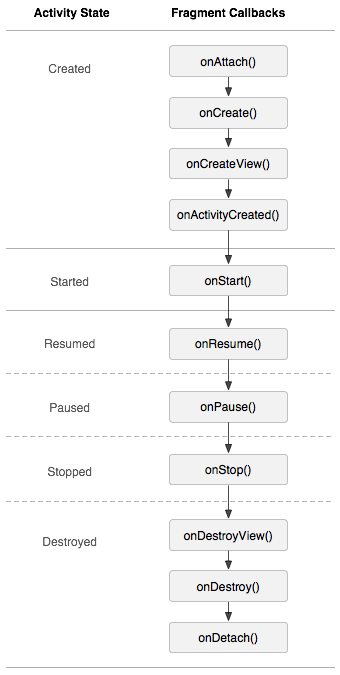 onResume: makes the fragment begin interacting with the user (based on its containing activity being resumed). onPause: fragment is no longer interacting with the user either because its activity is being paused or a fragment operation is modifying it in the activity. onStop: fragment is no longer visible to the user either because its activity is being stopped or a fragment operation is modifying it in the activity. onDestroyView: allows the fragment to clean up resources associated with its View. onDestroy: called to do final cleanup of the fragment's state. onDetach: called immediately prior to the fragment no longer being associated with its activity. 8. How to programmatically add fragment to an existing ViewGroup? 9. What are the steps to implement Loader? 10. What are the two types on Intents? Implicit intents do not name a specific component, but instead declare a general action to perform, which allows a component from another app to handle it. 11. What is a content provider? Content provider can be used to share data between or within applications. 12. What are the advantages of AsyncTaskLoader over AsyncTask? 13. How many threads are there to service AsyncTask jobs? 14. What are the levels in the importance hierarchy for an Android process? 15. What is reactive programming? It is an emerging discipline that combines asynchronous and event-based systems. RxAndroid provides support for reactive programming for Android. 16. How to cancel an AsyncTask? 17. What are the two types of services? Started : If is started by calling startService(). Bounded : If is started by calling bindService(). 18. In which thread does a Started or Bounded service run? 19. Can a service run in the foreground?